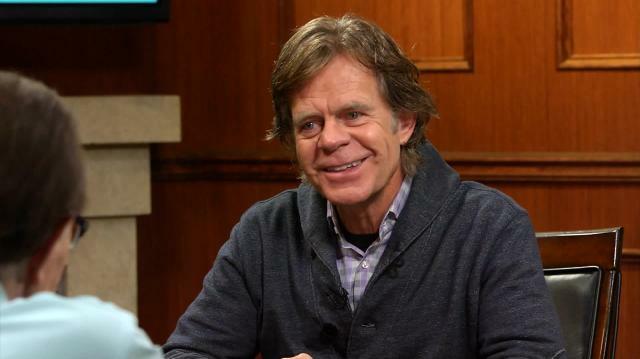 Oscar-nominated actor William H. Macy teases the new season of ‘Shameless,’ gives a unique perspective on the recent protests against the police and praises recent co-stars Brie Larson & Mel Gibson. "I think Shameless works because, at its core, it's about family values. It's a little disingenuous maybe, but it's about family values. That family loves each other and they stick together. I think it resonates with people because these are people who are really close to the bottom of the safety net. They are just one step ahead of homelessness." "I had one of those actor moments where I said, 'This role was written for me. They may not know it but this is my role.'" "I mean, even the Coen films that don't work are better than most other films. They're great storytellers, great filmmakers." "As an actor it was quite interesting because I had this Frank voice. This Frank M.O. and suddenly he was sober and I found it to be a challenger, interestingly. I had to throw away a lot of those little old Frank tricks that had worked so well. "I found out that his lying became very good. Boy, you couldn't tell when he was lying anymore. When he was sober, he was really good at it and it made him a little more dangerous and a little more vicious." "I love Frank...He's a movable party. He is honest in his dishonesty. He is ambitious, hard-working, smarter than the average bear. He'd rather laugh than scream." "Interestingly, Frank found out that family is important to him." "I think it's a great city. I think this whole cop thing is complicated. I've played a bunch of cops. I rode around---David Mamet did a film called Homicide and I rode with two cops in the back of their car in New York, and I really love cops. I think if I had to choose another career maybe homicide detective would be up there. You know, you don't just choose to be a homicide detective. You have to earn it." "I think it's complicated and I think it's more complicated than the headlines. I know it's out of control. I think there's too much violence and I think they need to re-tool almost all of the police departments, but they definitely have my sympathy. I mean, these cops, you know, they got a wife and two kids every time they stop a motorist. Who knows whether he's gonna draw it out on you." "Also, this whole thing with disrespecting the cops. Man, we can't have that. Cop tells you to sit down, you sit down." "Yeah. It's-- you know, I'm Lutheran. I don't like emotions and that's all about the 'getting ready to walk on.' It can be liberating. It can feel good, especially for a guy like myself, to sort of let it out and just blubber your eyes out." "I don't believe in this idea of becoming the character. I think the character is sort of some trick that we play on the audience with their collusion." "Television has afforded me the chance to really ply my trade on a regular basis, which is rare in our business. And I try to be--I'm working on trying to be present and more improvisatory, and come into these scenes with fewer expectations about the way it's going to go and try to play it as it lays." "I'm crazy for Brie and Joan. I had a talk with Lenny the director and he's smart as a whip and to be blunt, it fell right in this point where I could do it. When you're doing a tv show it sort of knocks you out of the ballpark for most roles and this was perfect." "Well for better or worse, we like our heroes to be good-looking and bold and, you know, the biggest guy, the strongest guy, the most beautiful woman, the smartest woman. And I've always been attracted to those stories when the biggest, smartest, bravest guy has the flu, so they gotta send in the other guy. I like playing the other guy." "Try to watch everything worthwhile. You'll never go to sleep. There's so much out there." "There's so many outlets. There's many shows. There's so many networks. At the same time, the independent film business sort of dried up. That's where all us hungry young artists who don't worry about making a living just sort of dried up. The best and the brightest are on television. Best storytelling. Best acting." "One of my daughters is now going to Loxa which is the performing arts high school and the other daughter's interested in that." "I don't think people in the Academy watched it. I think they saw it-- it's about a transgendered guy. I don't want to watch that. I think if they they had seen it, they would've given her an oscar." "In a New York minute." "I was that kid that all the parents said, 'What about that Billy Macy? Why don't you go out with him? 'because I presented as this sweet Lutheran kid who always got a haircut and said yes ma'am and no ma'am because I had a southern upbringing." "I had a bumper sticker. It said, ''Don't' laugh. Your daughter's' in here,'but I took that off because I kept getting tickets." "I got this crush on Tina Fey that's just not going away and I'd love to try to do the kind of films that she does. I'd like to do some broad comedy like that. I wonder what I'd bring to it." "He's the bee’s knees if you ask me. "When you get a voicemail and that woman comes on and takes 20 minutes telling you to leave your message and wait for a beep then you can leave more messages and hit this...Are they afraid that we're just going to stay on the line?" "Because I have 2 young daughters, I'm listening to all the Nicki MInaj's and that sort of stuff. I think the pop scene is pretty fun these days." "I'm crazy for the civil war so, you know. I don't know if I look enough like them but one of those guys- Grant or Sherman." "I've always wanted to try my hand at some racist or someone evil to try--especially racism of the south like back in the 60s. You know, those guys who came out. Did they read these--what they said? Did they ever go back and read what they said?" "I've been trying to direct recently. I finished one called The Layover. We're in post on that. It should be finished by February or so. It's about two twenty-seven year old women and since I know so much about twenty-seven year olds and women, I thought, 'I'm the guy to direct this.' But it's pretty funny and hopefully I'll direct another film. I like directing"
"I am the voice of the inebriated. I am the spokesperson for narcissists and I'm proud to carry the mantle." "No, I don't like disco."